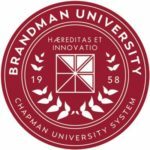 The LoVerde Group is proud to work in partnership with Brandman University. Once you’re registered, you will receive an email indicating that a student account has been created for you that provides you a Brandman ID, username, and password. After the grade for a class has been posted, you will receive another email that will include instructions for requesting a transcript. Brandman University is accredited by the Western Association of Schools and Colleges. All public school districts in Colorado and New Mexico, as well as private schools in Hawaii, accept Brandman University credits for re-certification and salary advancement. Graduate level elective credit will be awarded for credit-based courses upon successful completion of of course requirements. These credits are professional development units that are not part of a degree program but instead are primarily used for professional advancement (such as salary increment steps and re-certification). One semester credit is equivalent to 15 hours. Students should seek approval of appropriate district or college officials before enrolling in these course to satisfy any degree, state credential, or local school district requirements. State licensing departments vary regarding their criteria or credit acceptance and some states may not accept credit from universities located outside of the state.